The data voluntarily and anonymously shared through Donate Your Data reflects the everyday lives of anyone—and this is rare in research. Generally, research poses a question and only a select group of people are singled out to test that question: these are called controlled variables. The only control variable in the data from Donate Your Data is real life. Benefitting our real lives with information gathered from real life—it only makes sense. The question Plinio Morita, researcher and Director of Ubilab at the University of Waterloo, is working on: can we replace retirement homes with smart homes? Aging is inevitable. Not only will we all age, but we all know and love someone who is part of that growing demographic. In fact, the number of Americans aged 65 or older is expected to more than double by 2060. How will that manifest in society for the ageing population, particularly when it comes to how we live at home? With this, and his close relationship with his grandmother, in mind, Morita began studying sensor technology. 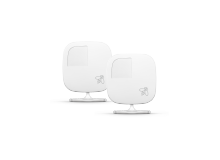 His goal is to develop a low-impact and low-interference smart home system that will enable greater safety and independence for people with special needs and permit family and caregivers to offer greater care. Unfortunately, in his preliminary research, Morita found that most data sets didn’t reflect the true-to-life behaviour of people living in their home. What he needed were behavioural data sets that are both accurate and comprehensive—but those are hard to find. 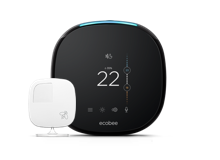 With access to data shared by ecobee customers, however, Morita was able to study how people actually use their homes, naturally and in their own time. 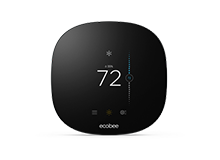 With the help of ecobee sensors, he is developing smart home technology that can track and predict changing patterns in both the physical and mental health of occupants, allowing family members and caregivers to help monitor loved ones in a more robust and effective way. For example, if an elderly family member begins neglecting the second floor of a home, only making their way upstairs in the morning and at night when they usually go up and down multiple times a day, then this could be a sign of a physical ailment preventing their ease of movement. If a loved one usually frequents every room at home but begins only entering necessary spaces like the bedroom and bathroom, then this could be a symptom of social isolation, and signal a shift in their mental health.